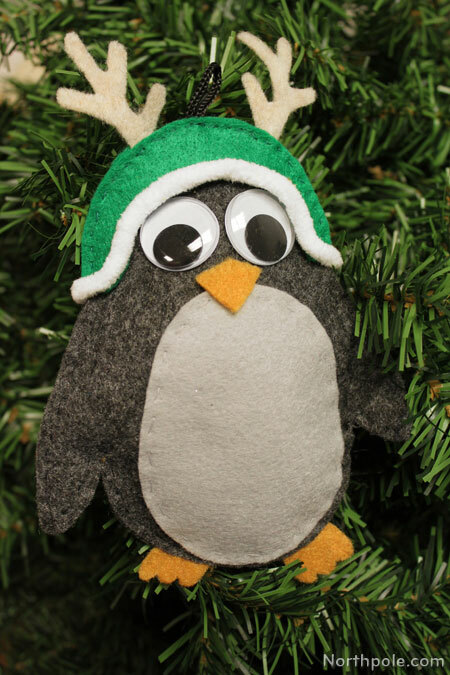 Christmas, snow, trees, and… a penguin! 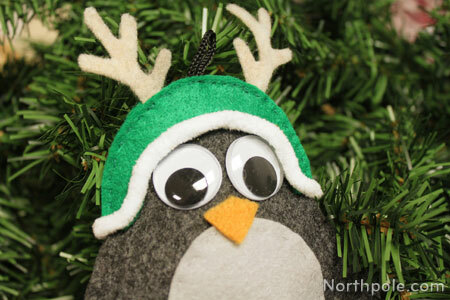 This adorable little guy is a fitting addition to your winter wonderland. 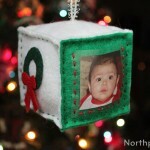 Don’t want to put Perry on your tree? Just omit the ribbon and he will make an excellent gift. Print the template�and cut out pattern pieces. Set aside page 3 for future reference. 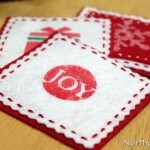 Place pattern pieces on felt and pin to secure in place. Cut out felt pieces. Remove pins and set pattern pieces aside. Take piece #3 and place on the piece #1. Sew in place. See .pdf template for diagrams. Take piece #10 and sew the beak onto piece #1, just above the belly. Glue the antlers (#6, #7) onto the back layer of hat (#4). Let dry. Make a small loop of ribbon and glue in between antlers. Place piece #5 on top of #4. Sew along upper edge. 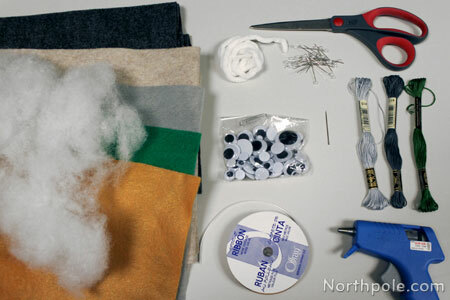 Glue a strand of fluffy white yarn around the opening of the hat, gluing a small area at a time. 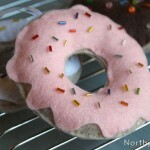 Sew along outer edge, leaving an opening at the bottom to fill with batting and to attach the feet. Slightly overlapping, place feet in between layers of penguin’s body. Continue sewing to enclose the body and securing the feet in place. Place hat over the penguin’s head. Sew in place.